If you didn't know, Wigle Whiskey has opened a cute little whiskey complex nestled in between Troy Hill and the Northside. (Honestly, I'm not exactly sure what neighborhood it is, possibly Spring Hill, but it is very close to Penn Brewery.) The real purpose of the establishment is to give Wigle a nice space in which to age their product, but under state law they are also allowed to operate a retail establishment in the same location. Neat! Some of the fantastic benefits of the whiskey garden include outdoor seating, corn hole, a nice little garden for your aesthetic pleasure, barrel house tours and an assortment of snacks from the Thin Man Sandwich Shop. Cocktails are available for $6 and snacks are provided for a small fee. You can choose from hummus, pickled vegetables and chicken liver moose. Also, you can schedule private tours of the barrel house including a whiskey tasting for $20 per person. During our visit we received a nice explanation of why Wigle makes their own bitters. 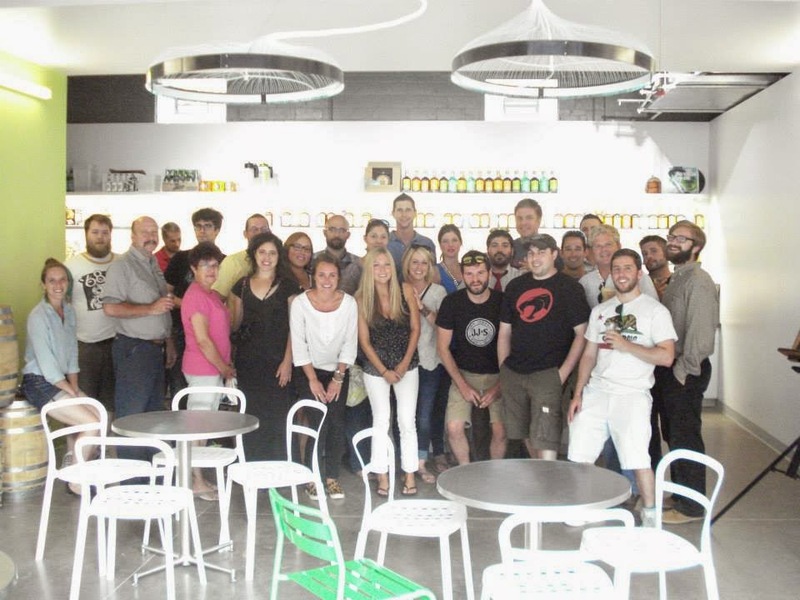 Because Wigle is operating under a peculiar liquor license exception related to their distillation activities, they are prohibited from selling third party spirits or alcoholic drinks on premises. As a result, if Wigle wants to make their cocktails with bitters, triple sec or any other alcoholic mixer, they just have to make it themselves. That's what I call American spirit! As a side note, if you end up at the Wigle whiskey garden and find yourself in need of a beer, you can travel right down the street to the quaint Bierhaus Tavern at 919 Spring Garden Ave. Bierhaus will let you order pizza from their box of menus and drinks are about as cheap as possible. Be warned though, only about six large beer glasses are available, so make sure to get a head start on your friends when en route from the whiskey garden.